Living in the Central Oregon high desert, certain things are a given. There’s always, always a week of beautiful spring weather in April that you just can’t get used to because it’s inevitably followed by six weeks of cold. Summer is construction season and any road can be a target, no matter how remote. And as soon as winter hits, the dry climate and cold temperatures mean chapped, irritated skin. Because I had very sensitive skin, I dealt with it year-round and it came as no surprise that it just got worse in the winter. And it was just something I’d have to deal with. When I discovered that I could simplify my family’s wellness by using natural remedies, I quickly set out to find something that would soothe my irritated skin. I researched and experimented with all the skin-soothing herbs, carrier oils and essential oils I could get my hands on. 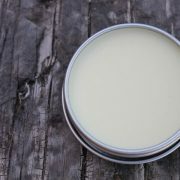 And I finally came up with a salve that soothed (and even prevented) my dry, chapped skin. is antifungal, antibacterial and antiviral, making it a wonderful base for DIY skincare salves. Coconut oil absorbs quickly, leaving well-moisturized skin without a greasy feel. , or pot marigold, has beautiful orange petals that offer healing and skin-soothing benefits. Lavender essential oil: Lavender essential oil does more than soothe crazy kids before bed. It also soothes irritated skin. Frankincense essential oil: Frankincense is the king of essential oils and can be used for many purposes. 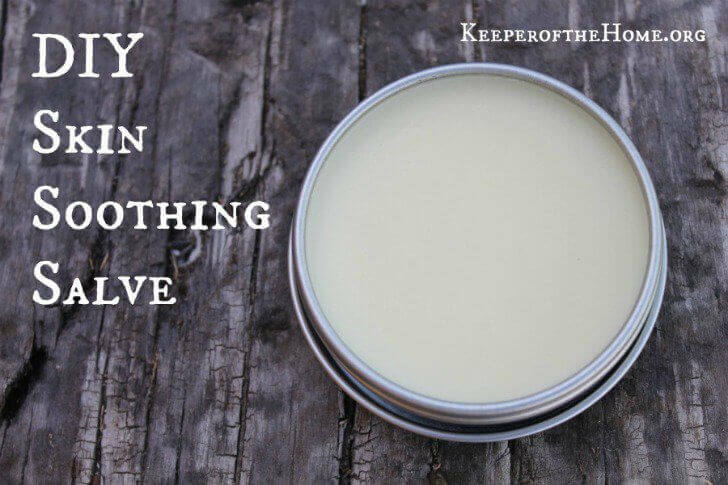 One of my favorites is as a skin soother and healer. Tea tree essential oil: As tough as it is on germs around the house, this typical DIY cleaner-additive is surprisingly gentle and soothing to the skin. Calendula salve is very versatile and easy to make. By adding these essential oils, you can kick the soothing, healing power up quite a few notches. Turn your oven on to 200 degrees, then turn it off. Put the coconut oil in a small saucepan and turn your stove to medium heat. Once the oil melts, add the calendula petals and stir them together. Turn off the stove and put the pan in the oven. Clean up your mess and go have fun for a few hours. After 3 to 4 hours, take out the herbs and strain the oil back into your saucepan, being careful to get as much oil as possible in the pan. Turn the stove on to medium heat. Add your wax and stir until it's melted and well-mixed. Remove the pan from heat and stir in the essential oils. Pour the oil into a 4 oz. canning jar, screw on the lid and let it cool. Don't forget to put on a label (I like to put the name, ingredients and date it was made). Store in a cool place. Apply a pea-size amount to skin in need of soothing and rub in well. To prevent future irritation, apply a small amount before heading outside. Easy peasy. Do you have a favorite skin-soothing remedy? What is it? Is there anything I can sub for the calendula? I have all of the ingredients except for this. 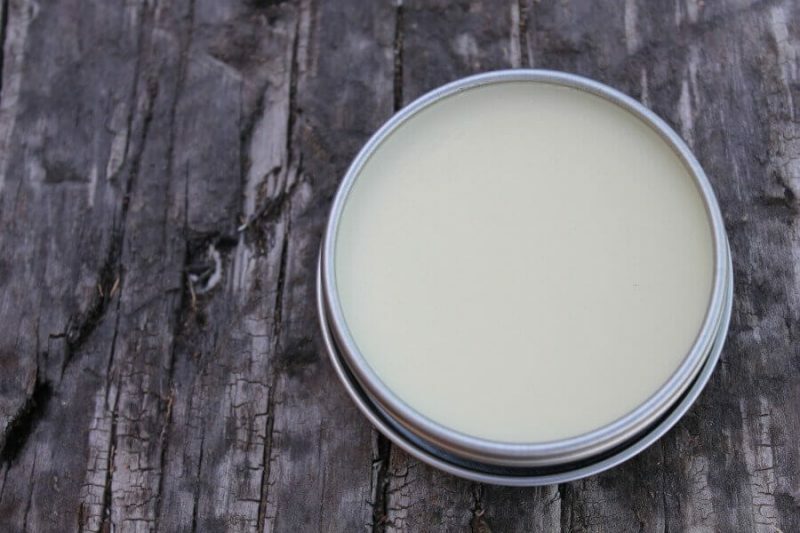 Every fall I make a salve that soothes and really helps healing wounds and scars rapidly. Instead of using calendula petals I grate comfrey roots and soak them in coconut oil or Shea butter for one night. The other steps and ingredients are roughly the same. How long does this last? Will it go bad? I am allergic to calendula, is there something I can use instead that would have the same benefit? Thank you for the wonderful hand salve. The frankincense and other oils must be very strong healers. My dad has been going through chemotherapy, which has caused his hands to dry, swell, crack and bleed. We gave him some of this salve. The FIRST NIGHT he used it (using gloves), all of the cracks in his hands healed and the skin improved. He continues to use it, and it has helped tremendously. Our family uses it, too, of course. We love it. We need to reheat the cooled coconut oil with the calendula herbs in it first and then strain out the flowers, correct? Can we add in already made calendula oil to this recipe, if so how much can be added in place of soaking the flowers here?